Mobike’s recently-announced data sharing strategy has just made a prominent appearance: Mobike – and Ofo – bikes are now visible and unlockable via the Baidu Maps app. The latest update of the app allows users to log in with their mobile numbers to hire bikes from the two main hire companies. 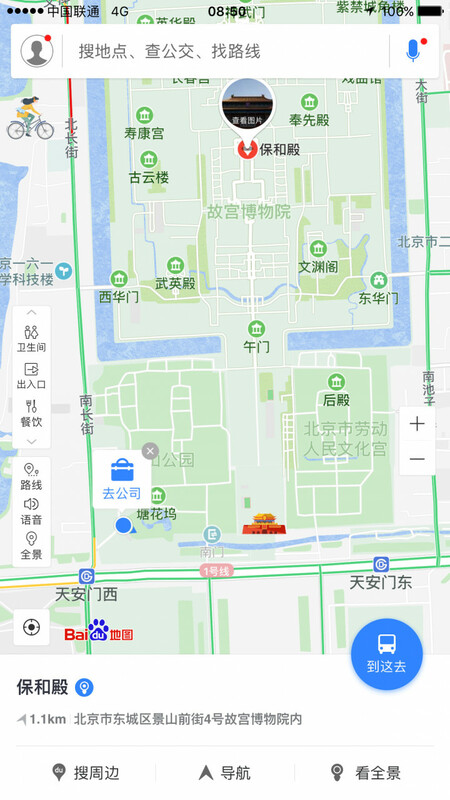 The latest version of Baidu Maps, v9.8.5, has a bike and ride logo in the top left which, when tapped, reveals bikes from both Ofo and Mobike in the area of town shown. There is the choice to filter just one type or see all. Bike logo now appears in the top left of the main map panel. The unlocking process is simple and having bikes from both main companies now available in one place is definitely a step forward for customer ease of use, which was part of Mobike’s data strategy. Branding is kept to a minimum except on the bike map and filter page. The signup system is equal and almost unbranded, integrating Mobike and Ofo simultaneously as “green travel” options. Bike rentals are starting to be included in the map’s journey-planning functions, as they were with Shenzhou Zhou ride-hailing. This does not yet appear to be fully operational in this first release, but the bike rental option is available to toggle on/off within walking and cycling journeys. Previous reports on bike usage show that rides in combination with public transport are hugely popular with 1 in 5 rides being to make a bus or subway connection, so this function is expected to be warmly welcomed. 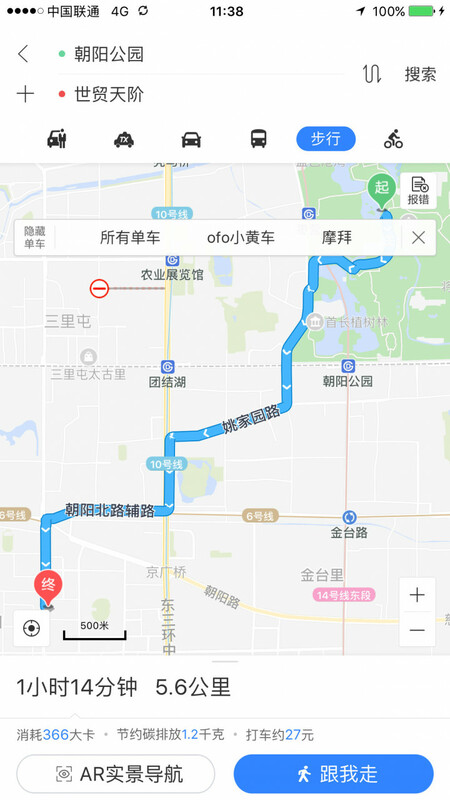 Simple unlock interface for Ofo within Baidu Maps. Last month Mobike announced its “Mobike+” open platform strategy which covers the three areas of “life circles” (our translation of “生活圈”), big data and Internet of Things. Shenzhou Zhuanche and Baidu Maps were announced as being in the first batch of integrators, along with China Merchants Bank, UnionPay and China Unicom. See in one place availability for both Mobike and Ofo. 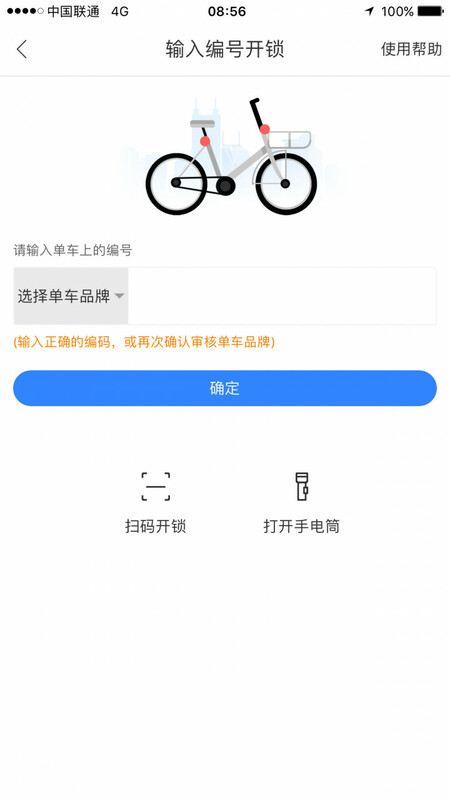 China Unicom lets users unlock bikes via its app and users can apply their loyalty system user history as credit for the deposit needed for joining the bike scheme; they can also use Wo points for free rides or to earn free data. China Merchants Bank is expected to offer the bike unlocking function soon via its app. 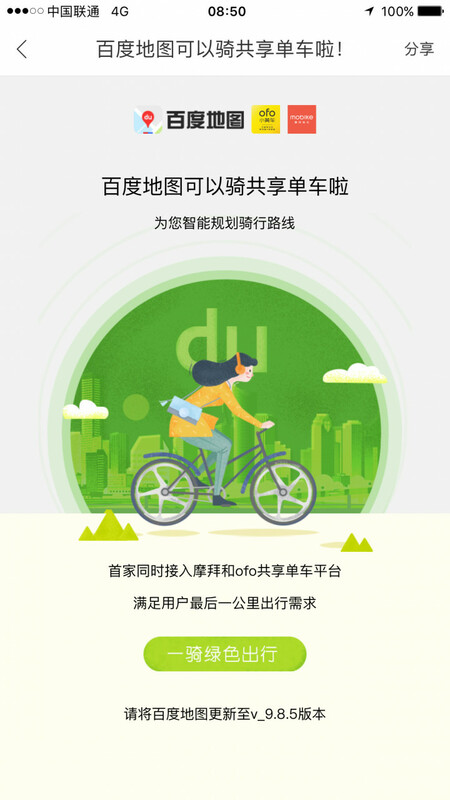 UnionPay’s increasing global reach and its move into instant payments could help with Mobike’s global expansion, as are other recent updates by the bike company. Mobike and Ofo are being integrated into Baidu Maps’ journey planning function. The fitness app Yuedongquan (悦动圈) also integrates with Mobike and collects ride data, even allowing users to compare their riding stats with those of their friends. Opening up has proved a highly successful move so far for Mobike. In March this year they integrated with WeChat, the most pervasive of all social media apps. After this, the signup rate of new users grew by over 200% with over half of new users joining the scheme through the WeChat system. The benefits go beyond new signups. Working across more apps offers allows the company to collect more data and being more readily accessible to users means more bikes being used. In terms of appearing on the same map as Ofo bikes, that could mean more effort put into bike redistribution or just another battle in the bike numbers war.